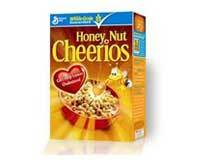 Mommy's Wish List: Free sample of Honey Nut Cheerios. If you missed this free sample from earlier this year, it's really still available! Like a FREE sample of Honey Nut Cheerios? Get yours here. Thanks, Heather. Find more recent Swag I've blogged about to fill your days with free goodies.